Spring is here and the plan to spruce up the home and get things simplified before Summer vacation is at the top of my list! 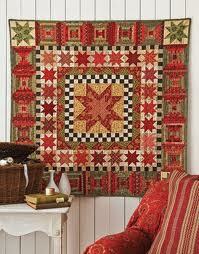 So I thought we'd revisit the Simple Country Wisdom series I blogged many moons ago. 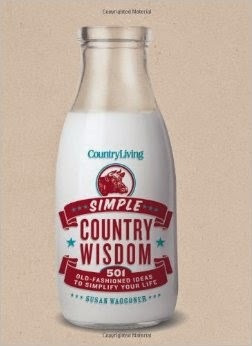 We'll work through the book Simple Country Wisdom in the coming weeks! Here's the first post! If you know me personally or have been a reader here for a while you've heard my catch phrase "It's good to have a goal!". Well it is! Zig Zigler says "If you aim at nothing you'll hit it every time." I have a few goals for this spring. One of them is to simplify my home. I mean every part of it; menus, recipes, schedules, closets, cupboards, etc. If you're looking to simplify a little bit of your life or achieve a major overhaul then join me for our ten part series as we work along side. What Makes a Welcoming Home? It's the place we all want to come home to. There's no place like it according to Dorothy. There are many elements that make a home. Cleanliness, efficiency, self-reliance, and joy are just a few elements that are discussed in the book. Your home need not be spotless and stark, but it should be a refuge from the busy world we live in. It should be clean and uncluttered. Do you have mail that's waiting to be sorted through? Laundry that you meant to put away three days ago? Is there a gooey, sticky mess waiting for you in the microwave? "Learning how to keep a house clean and uncluttered is the groundwork for many loftier achievements -- happiness, thriving family relationships, intellectual pursuits, hobbies that nurture creativity, and renewed energy and enthusiasm for the life we live outside the home." Again we don't want the stark and sterile look. Think fluffed pillows, candles burning, some soft music playing. Try one of those this week! Our homes should be efficient. The rooms should accommodate the needs and activities of the people who live in them. Efficiency means not being wasteful. 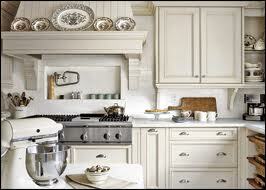 The furniture and possessions in our homes need to be well cared for and made to last. Water and lights are turned off when not in use and left overs thrown away are a rarity. Try leaving post-it notes around your home as a reminder! No one is truly self-reliant anymore, but it's good to try. (Good to have a goal, right?! *wink*) My husband is the very model of self-reliance. No matter what repair in our home needs to be accomplished he tackles it head on. Plumbing, carpentry, yard work, planting, and animal care (we have goats and chickens that need special attention at times) just to name a few. If he's not sure what he's doing he'll ask someone or read about it. Try to fix something yourself instead of hire someone. That's a great goal to have this year! I'm going to try to make more bread from scratch! A simple step in self-reliance is to try making your own fun! Instead of DVD's, computers, iPods, etc. cuddle up with a good book or read aloud as a family! Try reading the Bible in a year together or at least the New Testament! Work a puzzle together. Even little ones can find the straight edges of the borders! Find one way this week you can do something that's simple and fun! 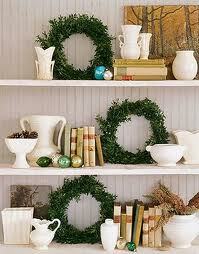 Our homes experience the joys of the seasons right along with us. They get decorated and spruced up, too! Our homes help us develop traditions; turning on a lamp for a loved one on their way home, a summer garage sale, pancakes on a Saturday morning, etc. The simple act of traditions, no matter how simple, give us joy. Find a new tradition to try this week! Join me in the coming weeks as we unwrap the present that is our lives. 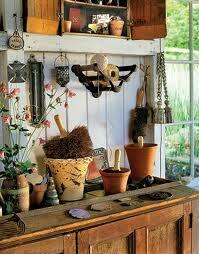 The next step in our series is taming the clutter. Please share this series by placing the button in the side bar of your blog or share on Facebook by clicking the "Like" button under this post.